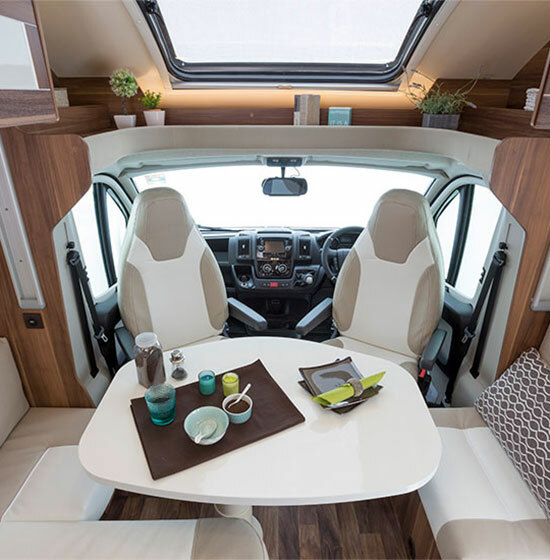 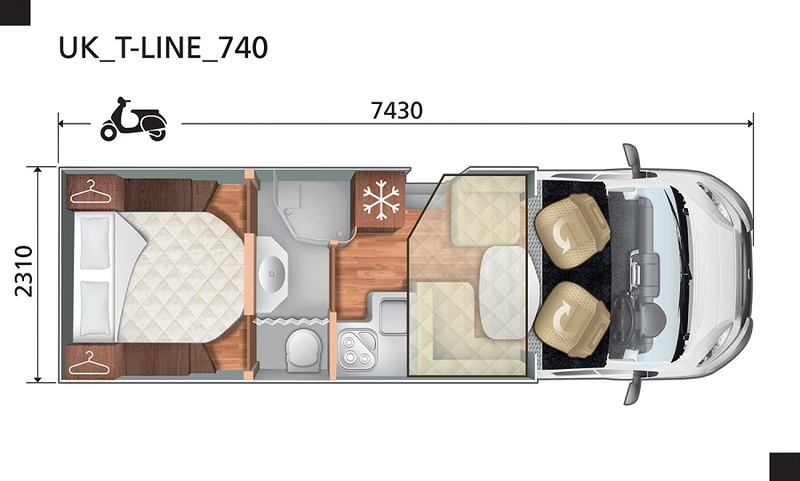 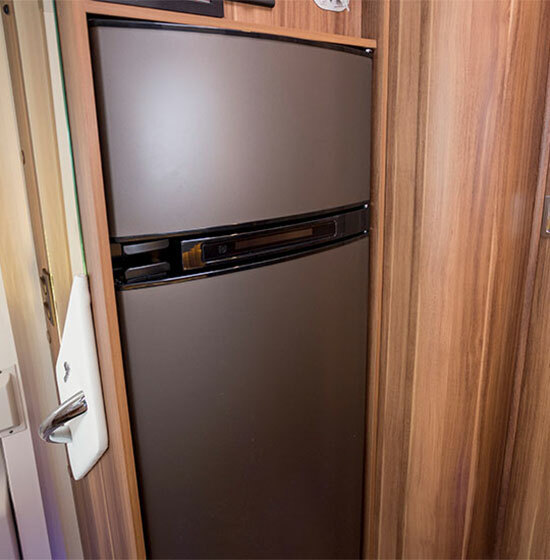 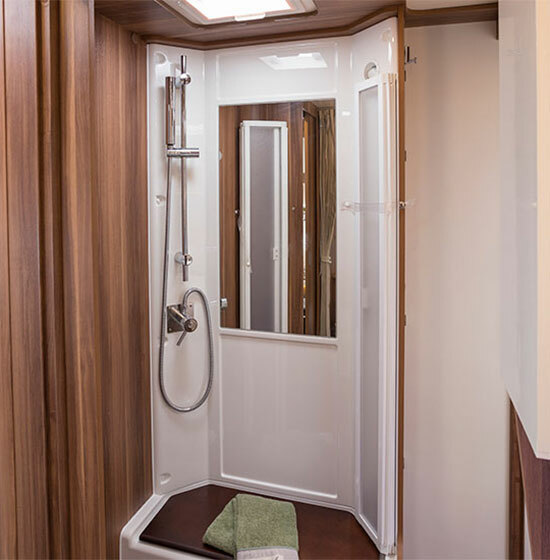 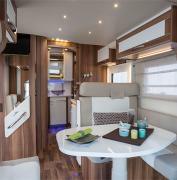 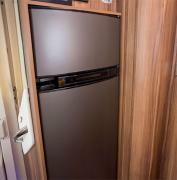 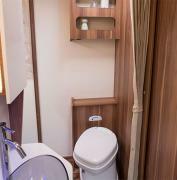 The T-Line 740 model provides maximum comfort and living space. 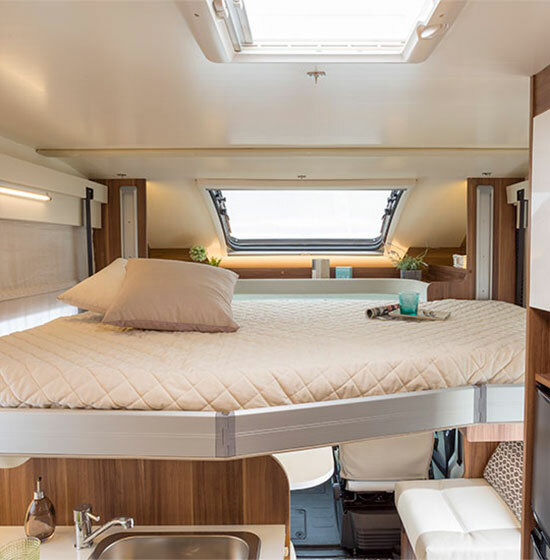 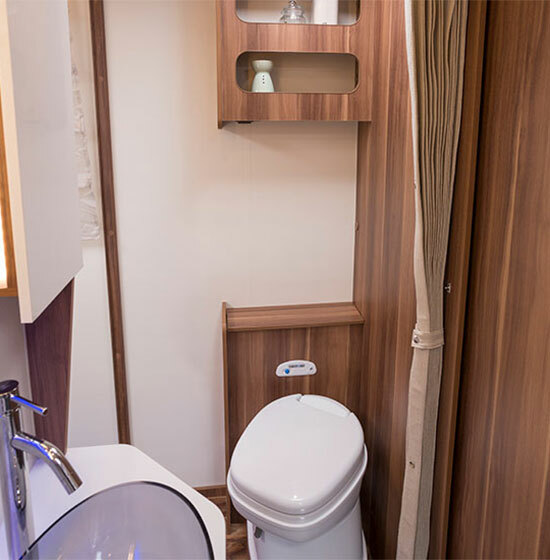 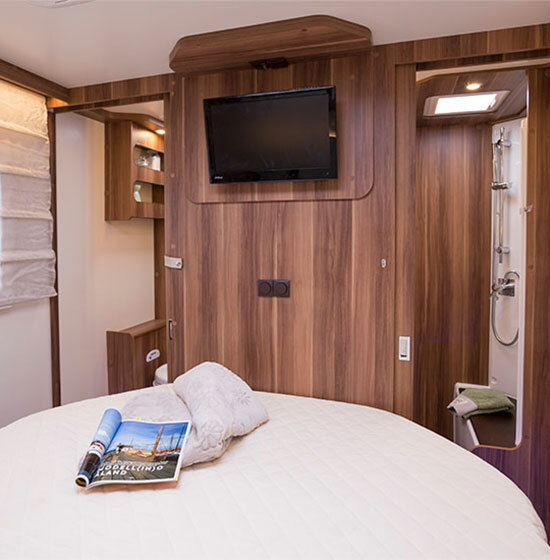 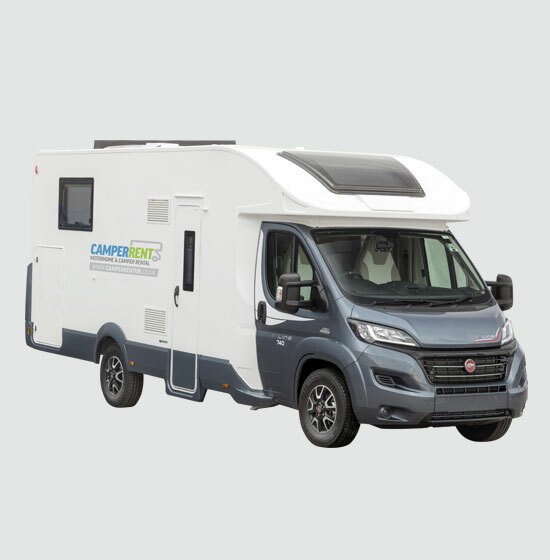 The innovative solution of a rear central bed with big dimensions and with two extra berths in the lounge, courtesy of a drop-down bed makes it a spacious 2 berth ideal for couples or ideal for small families. 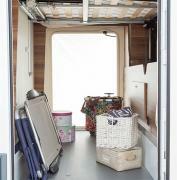 The layout makes clever use of the sliding doors of the bedroom and toilet to create ideal day and night separation. 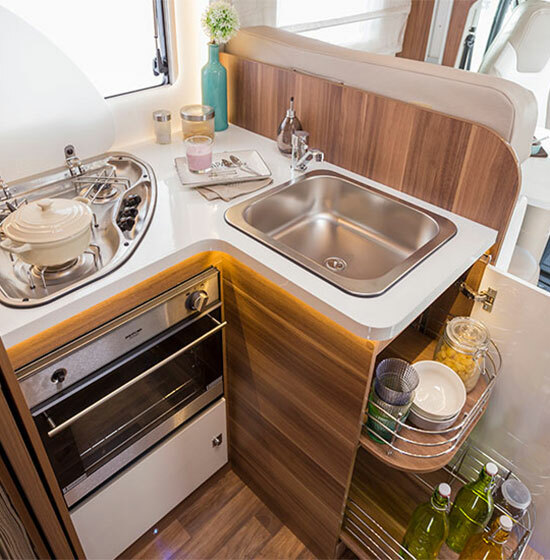 The L shaped dinette and practical L shaped kitchen is fitted with 3 burner hob and full oven/grill with valuable storage. 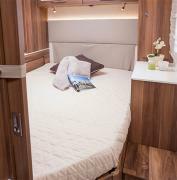 dimensions (L) & (W): Central Rear Bed 1850mm x 1340mm and Electric Drop Down Bed over Dinnette 1900mm x 1320mm. Is the vehicle suitable for wheelchair access.